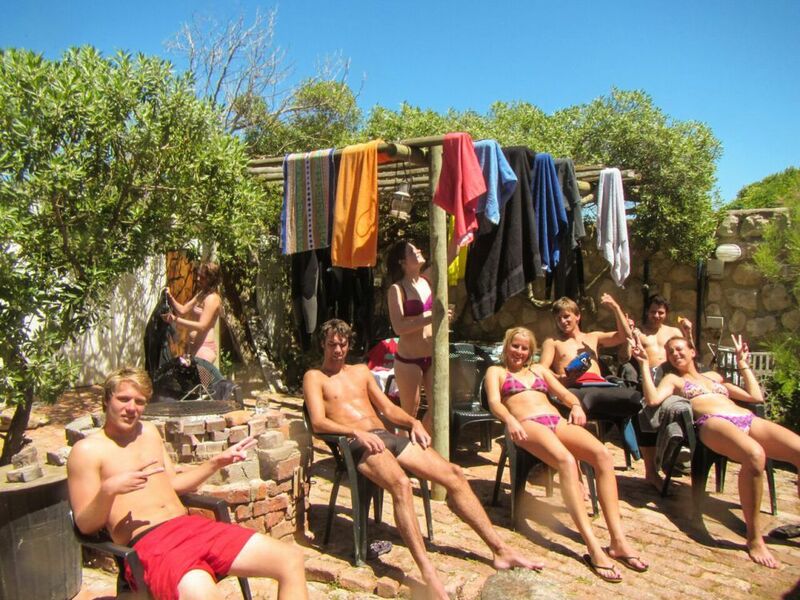 StarSurfCamps - Surfing Holidays & Surf Trips to South Africa! Upps! Parece que te has dejado algo por completar. ¡Todo listo! Gracias, contactaremos contigo lo antes posible. Surf & Travel in Cape Town! Looking to escape Europe’s cold winter months? 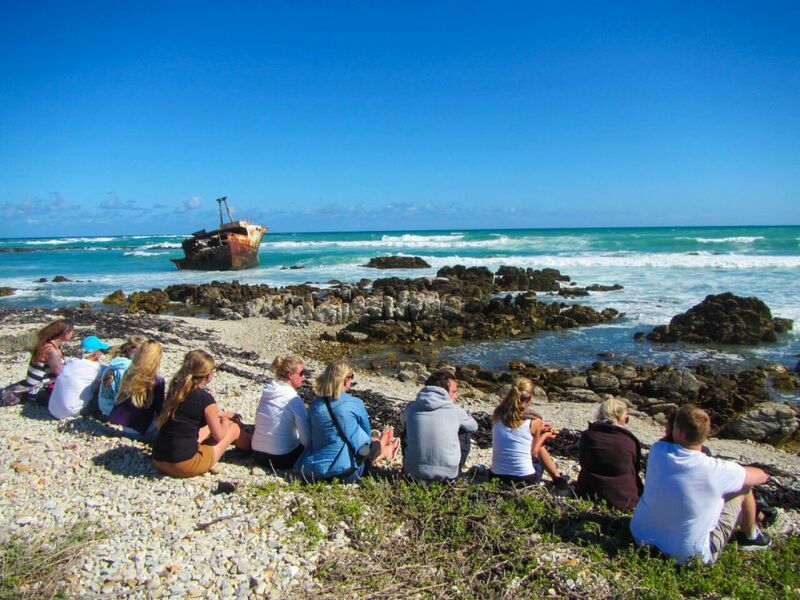 Then come along on one of our fantastic surf adventures to beautiful South Africa! With an abundance of surf spots, perfect waves for all surf abilities and some of the world’s most stunning coastlines, our Cape Town surf holidays offer you a scenic surf trip that will leave you speechless! Whether you’re an advanced surfer planning a week’s surf travel holiday or a complete surf beginner just looking for a fun week or weekend activity during your travels through South Africa, we’ve got the right surf trip for you with our fantastic partner camp in and around Cape Town! 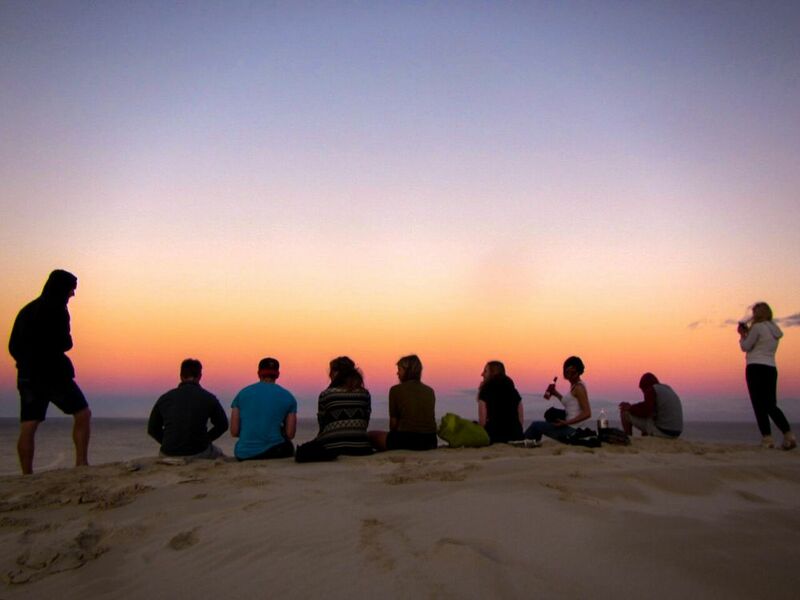 Our fantastic partner camp is based in and around Cape Town, offering surf camp accommodation in the city as well as road trip-style surf holidays along the most beautiful beaches of South Africa’s Garden Route! The Weekender – An Unforgettable Weekend Getaway! Join us for a weekend surfing the perfect waves of the most southern tip of Africa! In true Star Surf fashion, you’ll be sharing the magic of surfing in the company of like-minded travelers, local guides and experienced surf coaches when all of us hit the road in search for the day’s best waves. Our weekend surf trip takes you over striking coastal roads to a private beach house in Arniston from where we’ve got easy excess to some of South Africa’s best waves. Enjoy daily surf lessons with our experienced team of surf instructors, discover Africa’s southernmost tip where we’ll indulge in authentic African cuisine and explore world-famous sea caves, all with our local travel experts at hand for you to make your surf trip’s memories last a lifetime! The 3-Day Adventure – A Road Trip of a Lifetime! 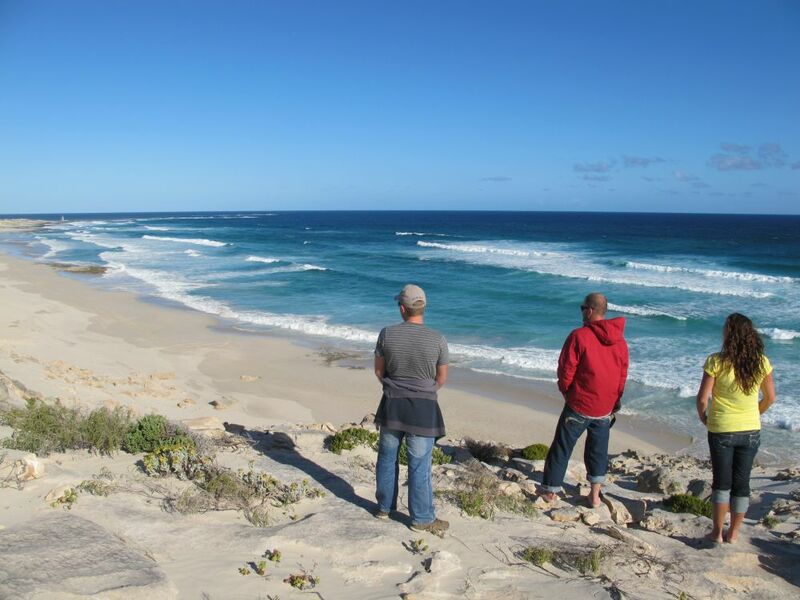 Then come along on our fantastic 3-day road trip surf adventure! All the way from Cape Town to the perfect waves of J-Bay, this 450-mile-long surf trip takes you via the famous Cape Route 62 to some of the Garden Route’s most spectacular surf spots! Every day, our team of professional surf coaches and local guides will find waves best suited to your ability level to make your South African surf trip unforgettable! Live together with like-minded surfers in three beach-front lodgings, enjoy daily surf lessons, benefit from our team’s local knowledge and surf guiding experience, feed Elephants at Knysna Elephant Park, conquer the world’s highest bungee jump over the beautiful Bloukrans River and simply soak up the energy of this breath-taking part of the world! 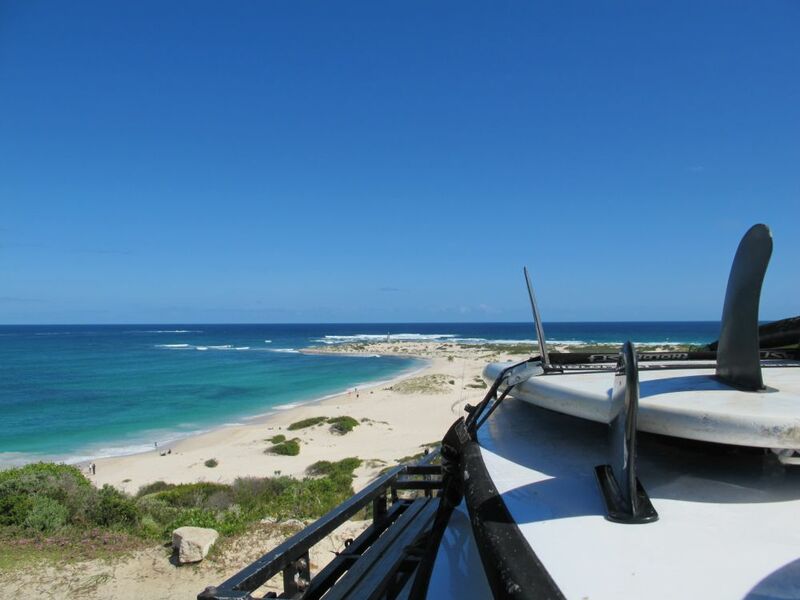 8-Day Surf & Stay – Surf the beautiful Cape Peninsular! Our 8-day Surf & Stay package is perfect for all travelers looking to learn to surf or improve existing surf skills while living together with like-minded surfers in the heart of busy Cape Town! Our city accommodation is located in the popular Kloof Street-area with many restaurants, bars, shops and sights in close proximity. For your surf lessons, you’re picked up from your lodging and taken to the beach with the day’s best swell. Our experienced team of surf instructors finds the best waves for you each day on both sides of the Cape Peninsula and is in the water with you, helping you catch waves and progress quickly! Day 1 – We will pick you up in the morning in the city of Cape Town to start our weekend surf adventure to Africa’s most southern point, and go for our first surf lesson on Strand Beach. We will then follow the way to Kalk Bay harbour,one of South Africa’s most stunning coastal roads where whale sightings are not uncommon, where we’ll enjoy lunch at a local fish ‘n chips café. After a lunch break, we’ll take a walk along the beautiful harbour wall where is a chance to spot seals swimming among colourful boats. We’ll then head to a wine farm to taste the local wines whiles enjoying the beautiful views of South Africa landscapes. We will drive along the impressive Chapmans Peak to enjoy the sunset to then finish our first day surfing in South Africa on a glamorous note with dinner and a slide show with pictures of your surfing day in out accommodation in Muizenberg. Day 2 – We will start our morning with an early Yoga Session and head back to the accommodation to a healthy breakfast. Then you will have your second surf lesson, where you will find yourself riding a great wave all the way to the sand bank. After you lessons we will grab a quick lunch at a local cafe and you’ll have the opportunity to relax and catch some rays of sun on this magnificent beach. Once you digested your lunch we will continue with our third and final surf lesson of this exciting surf trip, where you will beginning to feel much confident on your surf board and your surroundings. Once all lessons are done, you will be driven back to Cape Town. Included in your fully-organized South African Long Weekender surf trip are two nights of accommodation in shared dorm rooms (Friday & Saturday night) in our beach house in Arniston, all transport from the pick-up in Cape Town on Friday morning to the drop-off on Sunday evening, three surf lessons with experienced surf coaches and all surf equipment (surfboard, wetsuit & leash) during surf lessons, 2 healthy breakfasts, lunches and dinners each as well as surf photography. Please note that in order to provide the best surfing holidays and service, this itinerary is subject to change should the weather forecast or the conditions of the surf affect your surf holiday experience. 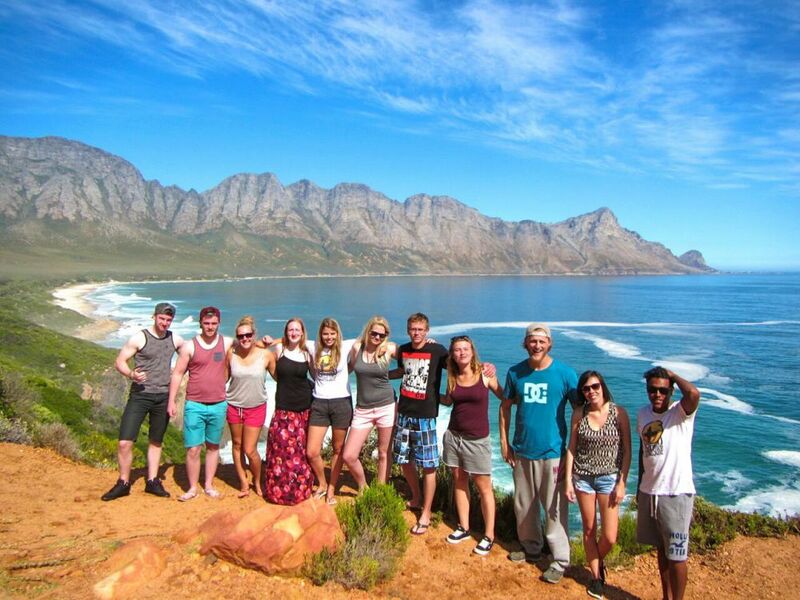 Day 1 – Starting in Cape Town, we hit the famous Cape Route 62, travelling through beautiful wine regions and alongside stunning towering cliffs, on the way to Victoria Bay where spectacular mountain ranges provide the perfect scenery for our first surf lesson. We celebrate the end to our first adventurous day with a few drinks, talking story and watching the sunset. Day 2 – Day two starts with a healthy breakfast and a surf session at either Victoria Bay or Buffalo Bay depending on the day’s swell and conditions. Back on the road, we get to enjoy the Garden Route’s picture-perfect coastal views before breaking up the journey at Knysna Heads for an incredible African experience of feeding Elephants! Once we reach our beachfront lodgings for the night in Plettenberg Bay, the evening offers more time for surfing or exploring the area with its local restaurants and bars. Day 3 – After another morning’s surf lesson with our professional team of surf instructors and guides, we continue along the stunning Garden Route. After a stop at the world’s highest bungee jump, we’ll drive on to the world-famous J-Bay. Here, another beachfront location will be our home for the next two nights. Day 4 – Waking up to the sound of perfect waves breaking, we’ll start the day with checking the surf and a surf session on the beach right outside our accommodation. You’re free to spend your late morning browsing through one of many surf shops and outlets before we meet up again for a revitalising lunch at our favourite deli. At Cape St. Francis, you’re in for a treat with an evening surf session and a fantastic night out at the local bars and restaurants. Day 5 – We start our last day early with a healthy breakfast and an early surf lesson at Jeffreys Bay. Soak up the final views of the beautiful Garden Route on our way back before we say our goodbyes in Cape Town! We’ve got four set dates for our 5-day surf adventure along the breath-taking landscapes of Cape Route 62 and the Garden Route. Please contact one of our surf travel experts for details. Should you plan a group surfing holiday with three friends or more outside our scheduled trips, get in touch and we can arrange for a trip suiting your travel needs. 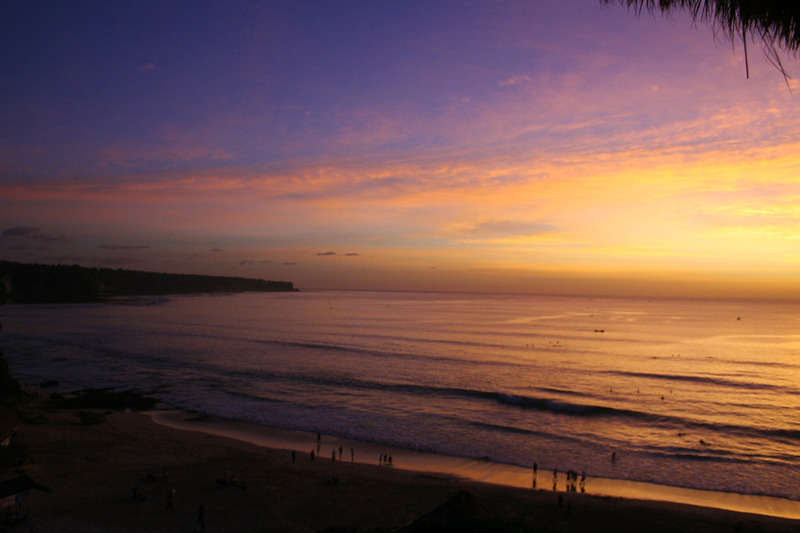 And, if you and your friends are advanced surfers, we can even tailor a trip specific to your surfing ability! 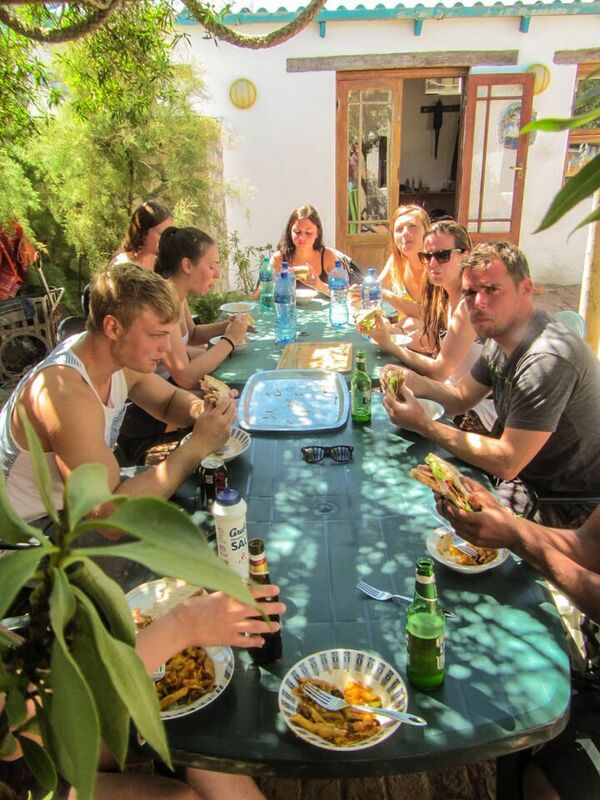 Included in our fully organised 5-day Garden Route surf trip are 4 nights of accommodation in 3 different beach-front lodgings, all along the stunning coastline of the Indian Ocean in shared dorm facilities (upgrades to private rooms upon request, subject to availability). Also included in this package are all transport from your morning pick-up in Cape Town on day one to the evening drop-off in Cape Town on day five, 5 surf lessons as well as all surf guiding with our experienced team of surf coaches and guides, all breakfasts, surf equipment (surfboard, wetsuit & leash) during surf lessons, surf photography and video & photo surf coaching. Please note that the bungee jump and the entrance fee to Knysna Elephant Park are optional extras to the trip and therefore not included in our surf package price. These activities can be booked as extras during the booking process or on site. Thank you. Our Surf & Stay option is great for everyone wanting to discover the vibrant city of Cape Town and its surrounding areas while not missing out on some of South Africa’s best waves. Out of your 8 days with us, you’ll be spending 4 half days surfing a range of beaches around the Cape Peninsular together with our fantastic team of local surf guides and other guests from all over the world. This leaves you with ample time to experience all that Cape Town has to offer! If you still need some inspiration on what to do and see in the area, check out our “Out & About” -section or contact one of our travel experts who happily assist you with planning your South African surf adventure! You can stay with us in our Cape Town city accommodation all year round. 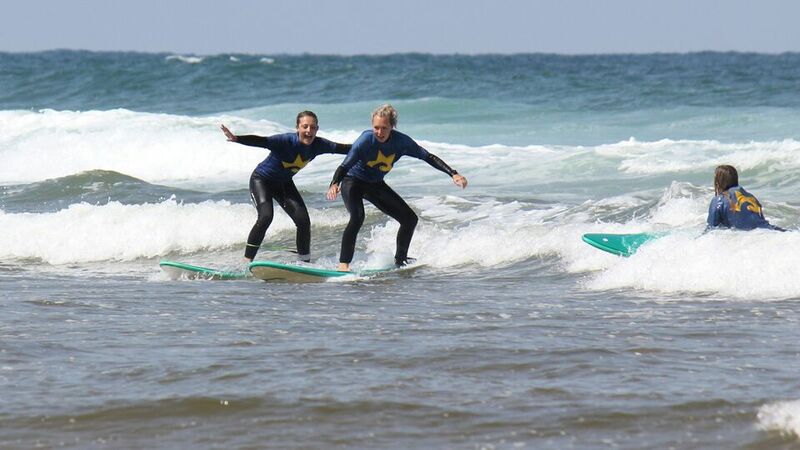 Our flexible surf lesson schedule lets you make the most of your travels through South Africa. Simply tell us what days you’d like your surf lessons to take place and we’ll make it happen. And if you’re holiday schedule is more relaxed or you’re unsure about the best swell conditions, get in touch and we’ll help you find the right days for your surf lessons. Included in our 8-day Surf & Stay package are 7 nights in our stylish city accommodation in the center of Cape Town, 4 x 2h of surf lessons on 4 days of your choice, all transport to the day’s best surf spots, all surf equipment (surfboard, wetsuit & leash) during surf lessons, a healthy breakfast on each day as well as free surf photography from your surf lessons. 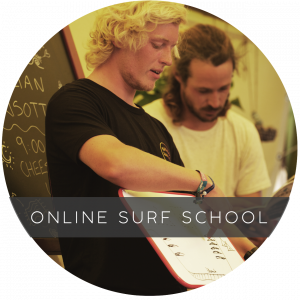 Delivering Surf Lessons with Excellence! 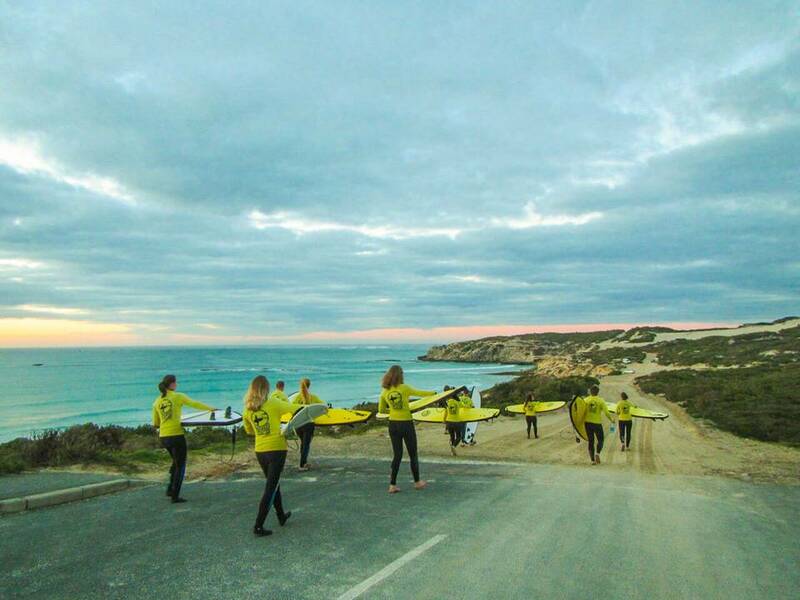 Delivering the best surf lessons is our No. 1 priority here at Star Surf. To do so, expert local knowledge is required. 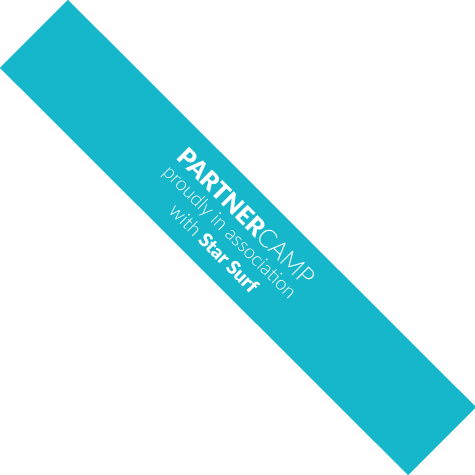 This is why we have carefully chosen selected partner camps and in all our partner camps. Each year, more than 3000 surf holiday guests learn to surf with us through our professional and enthusiastic approach to teaching surfing. 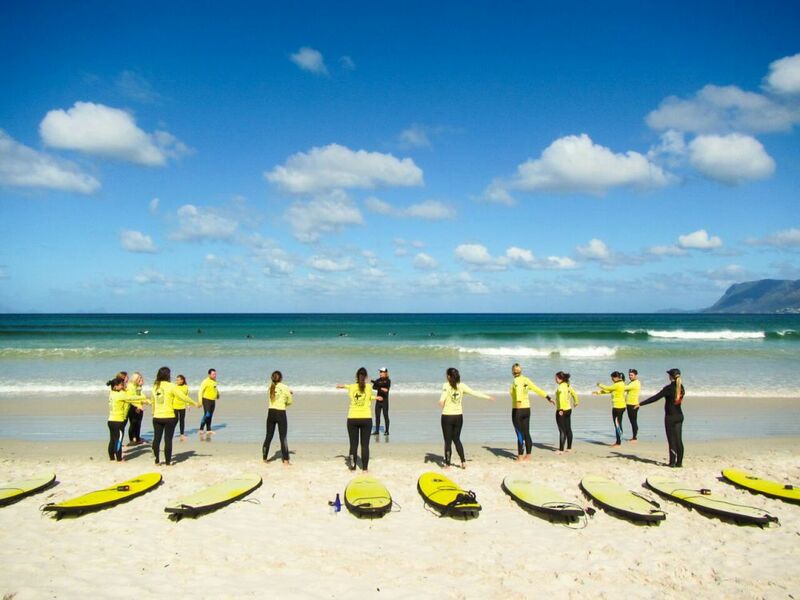 To provide a safe environment in the water, all our surf instructors are experienced, fully licensed and qualified and also have a lifeguard qualification. We provide quality surf equipment (boards, leashes and wetsuits) that you can use for free during your surf lessons. The Western Cape, from Cape Town on the Cape Peninsula to Plettenberg Bay and J-Bay on the stunning Garden Route, offers an abundance of waves. Finding the right surf spot in a foreign country can however be very tricky considering unknown swell conditions, wind directions or the local community. Our local team of experienced surf instructors and guides have lived in South Africa and surfed Cape Town’s amazing waves for years. 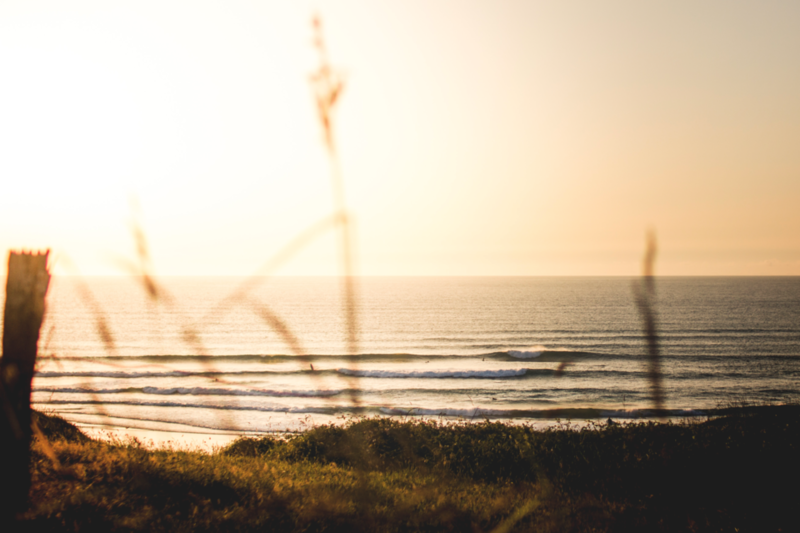 They are at hand for you to answer any questions you might have during your surf trips with us, and together, we’ll find the day’s best surf spots and waves best suited to your surfing ability. Discover Cape Town & Africa’s Stunning South! Travelling to the stunning Cape Town area is certainly one for the bucket list. With an abundance of things to see and do in this beautiful part of the word, we put together a little insider guide for you to beat the crowds and discover Cape Town’s hidden gems. Climbing Table Mountain is a must when visiting Cape Town. If you don’t fancy hiking up the giant that’s towering 1088 meters over the city, then hop on the cable car. On a clear day, Table Mountain is very busy and touristy. Therefore, check the forecast and get there first thing in the morning. We also suggest you avoid afternoons due to winds picking up late in the day. If you love the outdoors and adrenaline, and are slightly crazy, then ditch the cable car on your way back and Abseil Down Table Mountain! The 112 meter long controlled descent definitely makes for a gripping experience you won’t ever forget! With enough action for one day, we highly recommend Soaking up the Day’s Last Sunrays at Clifton where the Cape Town locals enjoy their drinks with the endless Atlantic as their backdrop. Once the sun is gone, head to Caprice for Cocktails where the rich and famous meet young professionals to turn the night into day. Start your cape tour with a healthy waterfront breakfast and a Nifty Glimpse of Dolphins and Whales at Kalk Bay, the pretty fishing village on the coast of False Bay. Head south for a Swim with Penguins at Boulders Beach and continue south for a relaxing afternoon at the edge of the continent at Dias Beach to then have your picture taken at Cape of Good Hope, the most south-western point of the African continent. On your way back north, the Majestic and Rocky Coastline of Chapman’s Peak Drive provides the ideal scenery for a picnic spot before we recommend you indulge in fresh local fish wrapped in old newspapers at Fish on the Rocks’ Seafront Location in Hout Bay. We also recommend a stroll through Kirstenbosch Botanical Gardens, souvenir shopping at V&A’s Waterfront, a lesson in South African history on Robben Island, a day out wine tasting in Stellenbosch, a game of crazy golf in Seapoint and a dive in the crystal mountain pools of the Steenbras River. Whatever you and your fellow travellers are looking for, our team can are here to help you find the right activity for you! You don’t yet know where to stay in or around Cape Town? Don’t worry! Our surf travel experts are here to help you find the perfect accommodation for you. 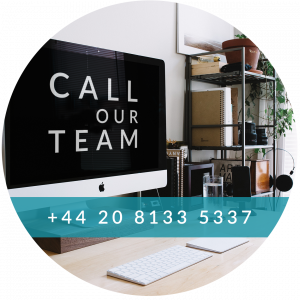 Simply call us or get in touch via email. What to bring on Your South African Adventure! I need to stay somewhere in Cape Town before and after my road style surf trip. Any ideas? We recommend you stay in our trendy city accommodation right in the heart of Cape Town, Kloof Street district, from where you've got easy access to bars, restaurants and Cape Town's sights, and from/to where we can also arrange for airport transfers. How do I get to the surf camp? Do you provide airport transfers? Yes, we provide airport transfers to and from Cape Town International Airport to our city accommodation in Kloof Street. If you'd like to be picked up before or dropped off after your surf holidays, pleases be in touch with your flight date and times. Airport transfers (one-way) are 35€. I am used to surfing my own surfboard. Is there space in the van for my own surf equipment? Yes, of course. If you'd prefer to surf your own surfboard, you can bring your own equipment and we will make sure to free up some space in our van. What's South Africa's currency? Should I bring cash to exchange in Cape Town? South Africa's currency is the South African Rand. We do not recommend travelling with a lot of cash. Paying by credit card or withdrawing money on location is often cheaper as you avoid high bank transfer fares. Do I need a visa for South Africa? If you are a citizen of the European Union, you don't need a visa to enter South Africa. If you are unsure, please visit South Africa's Department of Home Affairs. Do I need any special vaccinations before entering South Africa? We recommend you're up to date on all routine vaccinations wherever you travel (measles mumps rubella, diphtheria tetanus pertussis, chickenpox, etc.). For South Africa in particular, we recommend you bring both your Hepatitis A and Typhoid vaccinations up to speed. Precautions of malaria (through mosquito bites) and rabies through dogs, bats and other mammals) might also be taken. Gracias por subscribirte con nosotros. Usamos cookies para proporcionarle el mejor servicio on line posible. Al usar este sitio web, usted da su consentimiento para que se utilicen cookies.